It's Facebook Fridays! for April 21, 2017, and soon Wedding Bells will be ringing! 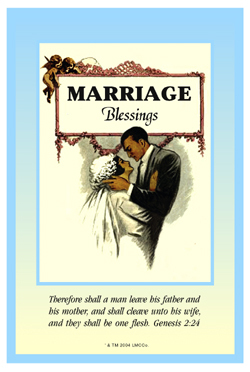 The Lucky Mojo Curio Company is holding a random drawing to give away 5 nuptual-bringing, Marriage spiritual supply prizes to bring lasting commitment to your cherished relationship. 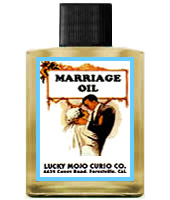 This week each lucky winner will receive a bottle of handmade Lucky Mojo brand Marriage Oil, plus a packet of Marriage Bath Crystals for laundering your sheets. First thing tomorrow morning, we will select FIVE winners at random, announce their names here, and ask them to message this Facebook Page with their mailing addresses, so we can send them their FREE Marriage products. Thanks, Ernie. I will share this to my Facebook page now. We have a winner! In fact, we have [X-NUMBER] lucky winners! Our We We have a winner! In fact, we have 5 lucky winners! Our Facebook Fridays! winners for April 21, 2017 are: Tina Riddle Deason, Wendy Hanna, Danielle Archillas, Jessica Kaye Carranza and Kurt Palmer Jr.